We could not hold the Wine Tourism Conference without the support of our sponsors. For information about sponsoring the conference please contact Reno Walsh at 888.758.8687 ext: 704 or sponsor@ZephyrConferences.com. 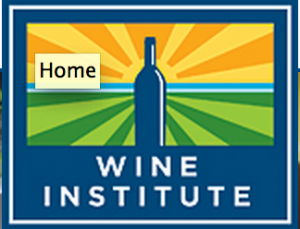 We help wineries grow. 5forests is a full-service digital agency for today’s wine industry. We marry the best in design, technology and experience to help your wine business embrace new possibilities and transform your market. And because we only work with wine, we bring unparalleled industry expertise to your project, whether it’s launching a new label or transforming a multi-generational brand for a new era. Find them on Facebook, Instagram and Twitter at @5forests and be sure to follow The Must Read newsletter here. Hearst Bay Area, Northern California’s largest news media and services group, connects businesses large and small with their target audience, through a comprehensive suite of multi-touch solutions unmatched by local competitors. Partner with our wine and hospitality experts to pinpoint your target audience and drive travel enthusiasts to your business. Our team has 20+ years of industry experience and a rich understanding of proven tactics tailored for your needs. Find them on Facebook and Twitter at @hearstbayarea. Sacramento International Airport offers more than 155 daily nonstop flights on 12 domestic and international carriers to 38 destinations. It is administered by the Sacramento County Department of Airports, which is responsible for planning, developing, operating, and maintaining the county’s four airports: Sacramento International Airport, Executive Airport, Mather Airport, and Franklin Field. The regional economic impact of the Sacramento County Airport System is more than $4 billion annually. Find them on Facebook and Twitter at @SacIntlAirport. Expanding Horizons is a California-based travel company, incorporated in June 1980. We create world class trips worldwide for vintners and their wine clubs. To date we have operated over 50 trips and European river cruises for many of the USA’s best wineries. We are a registered California Seller of Travel, License #2031884-40. As such, we are required by law to place all traveler funds in a protected trust account. Our detailed knowledge of destinations, cities and tourism infrastructure benefit our vintner clients in many different ways — above all in delivering value for money and the memories of a lifetime with your best D2C customers. Find them on Facebook. The Sonic Decanter® is the result of decades of designing and engineering products for space, industry, medical uses and consumer beverages. That experience and a passion for great tasting wine is the result. The Sonic Decanter® uses safe but effective ultrasonic energy to “MAKE EVERY WINE BETTER!” Find them on Twitter at @SonicDecanter. The Sta. Rita Hills Winegrowers Alliance was formed in 1997 to unify growers and winemakers in the Western Santa Ynez Valley for the purpose of developing their own American Viticulture Area and to promote this unique wine growing region. The Sta. Rita Hills American Viticulture Appellation is located on California’s Central Coast in Santa Barbara County. The Pacific Ocean’s marine layer and afternoon ocean breezes traverse the coastal valley corridors between the Purisima Hills and the Santa Rosa Hills, creating the perfect environment for growing Pinot Noir, Chardonnay and other cool climate wine grape varieties. The Wine Bloggers Conference is an annual gathering of 300 wine bloggers and other wine industry members who are interested to learn more about wine industry communications, writing, and social media marketing. The 2018 conference will take place October 4 – 7 in Walla Walla, Washington. Zephyr Adventures, organizer of the Wine Marketing & Tourism Conference, is the organizer of the Wine Bloggers Conference. The Bohemian and Pacific Sun are award-winning alternative newsweeklies serving Sonoma, Napa and Marin Counties. They provide a direct connection to the dynamic North Bay lifestyle and are regarded as the locals’ resource for insightful coverage of local news, arts, food & drink and entertainment.